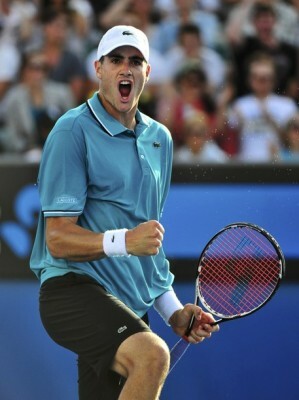 Andy Roddick is healthy, rich, smart, 30 years old and married to Brooklyn Decker. He spent his career traveling the world and doing what he wanted to do. He never got into much trouble. When a guy creates a life that you would love for your son, it’s hard to see failure. He should have done more. He could have done more. 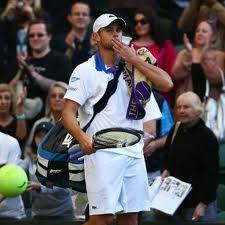 This is Roddick’s legacy. His tennis legacy, that is. In normal human terms, he hit it big. REPORTING FROM WIMBLEDON, ENGLAND — If you’ve never seen Venus and Serena Williams play doubles together, it is a beautiful thing. There is something about the body language, the togetherness, the love. But on Wednesday at Wimbledon, it was painful. They had two long matches in one day, when Serena would have been better off resting, as her singles semifinal would be coming the next day. She was there for her sister, and that was nice, but it was also the uncomfortable part. They won both matches, but Serena was carrying Venus. It was Venus double-faulting, double-faulting, double-faulting. Three times in a row. The opponents trying to hit everything to Venus, who was missing easy volleys close to the net. Venus not moving well. Earlier in the tournament, her tournament, Venus looked even worse while losing in the first round of singles. Who wants to remember Venus Williams like this? Thirty-two years old, fighting Sjogren’s syndrome, which steals her energy, and struggling on the court. 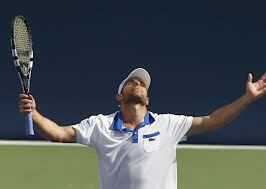 To win matches, someone said. How does a great athlete know when it’s time to say when? 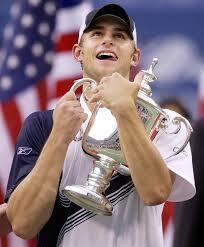 That question is up with Andy Roddick, too. 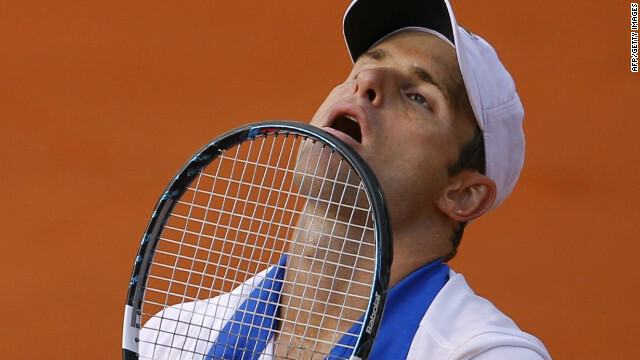 Roddick and Venus have been two of the three faces of American tennis (with Serena) for the past decade. Both are in decline. Every athlete needs a signature moment to make history. Titles and championships and stats are needed too, of course. Something has to fill the record books. But the moment adds pictures and memories and oohs and aahs to the words and numbers. Muhammad Ali had the Thrilla in Manilla, and another one in Zaire. John Elway had The Drive, and Joe Montana The Catch, and Willie Mays the over-the-shoulder nab. Babe Ruth pointed (supposedly) to the bleachers. Michael Jordan? Well, he had a bunch of them. So after Novak Djokovic beat Rafael Nadal in 5 hours, 53 minutes in the final of the Australian Open Sunday, he took the microphone and told Nadal over the PA system: “We made history tonight.’’ He was talking about it being the longest major final ever. The truth is, Djokovic moved into history because of the match itself. A classic. An epic. It might have been the greatest match ever played, though I’m still putting Nadal’s moment – the win over Roger Federer at Wimbledon – ahead of it, as well as at least one of the Bjorn Borg-John McEnroe Wimbledon finals. But this was the greatest example of two athletes reaching their absolute physical, mental and emotional limits, giving every last drop.